When Daredevil hits Netflix next year, the new live-action interpretation of The Man Without Fear will be facing a variety of bad guys. Aside from the common criminals of Hell’s Kitchen, Matt Murdock will have to deal with several villains from the comic books, specifically Leland Owlsley, better known in the comics as The Owl, and main antagonist Wilson Fisk, a.k.a. The Kingpin. Unfortunately, if you’re a Daredevil fan looking forward to seeing the expert marksman Bullseye show up to antagonize our hero, you’re out of luck for this season at least. Executive producer Steve DeKnight told Entertainment Weekly that while there’s always the possibility that Bullseye could show up in a later season, the show opted to leave him out due to space issues and Kingpin being a more interesting villain to tackle. This revelation isn’t entirely out of the blue. Last month, when asked on Twitter who would be playing Bullseye on the series, DeKnight responded with a simple “No one.” While that was a firm indicator, there’s always the slight chance he meant they hadn’t found anyone to play Bullseye yet, but now it’s official that he won’t be appearing at all. Still, if Daredevil were to come back for a second season, it sounds like DeKnight is open to the assassin showing up at some point, whether it’s serving someone else or as the main antagonist. 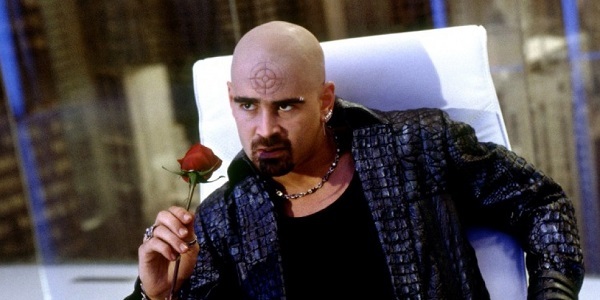 Considering that our only other live-action Bullseye was in the 2003 film, as played by Colin Farrell, it would be nice to get a version of the assassin that isn’t as over-the-top. With nearly 40 years of history between the two characters, we need to see the MCU versions of Daredevil and Bullseye eventually face off against each other! In the meantime though, Kingpin is sure to cause enough trouble our hero. Daredevil will air in May 2015, and the blind superhero will also appear later alongside Jessica Jones, Luke Cage and Iron Fist in the Defenders miniseries.